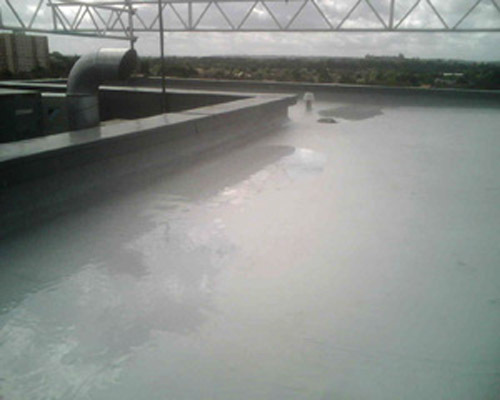 Specialists in Domestic and Commercial EPDM and Rubber Flat Roofing. 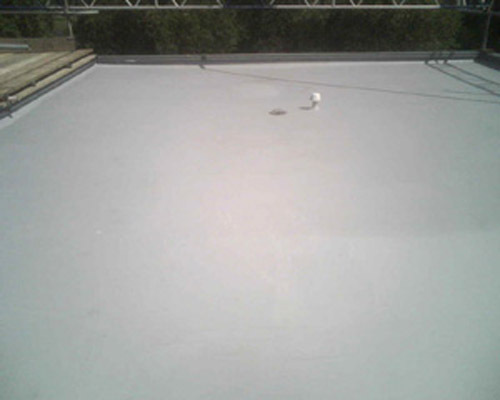 C.F.Roofing Ltd of Surrey is a fully accredited rubber roofing installer with over 40-years of experience in the roofing industry. All of our new rubber roofing installations come with a 15-year guarantee that is underwritten and backed by Fix R, who are a leading manufacturer of rubber roofing products. Rubber roofing solutions can be divided into two primary solutions. The first is known as EPDM (Ethylene Propylene Diene Monomer) and is produced in the factory as a single seamless membrane that is tailored to your roof and is fitted by our approved installers. 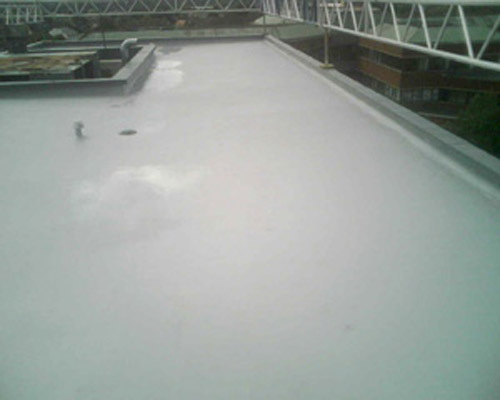 The second solution is a liquid rubber waterproofing system which is a fast and flexible solution as it does not need to be prefabricated (as does EPDM) prior to installation. Why Choose a Rubber Roofing System? 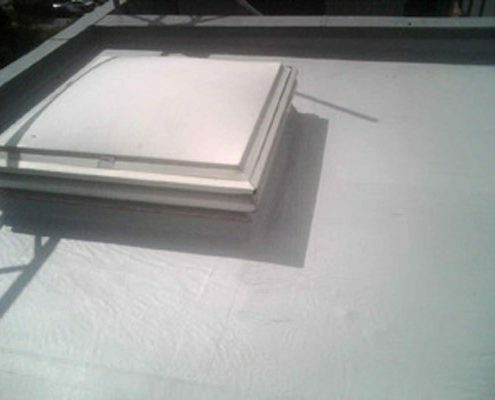 You might also want to consider a GRP Flat Roofing system with a guarantee of 25-years, a Single-Ply Flat Roofing system with a guarantee of 20-years or a Felt Flat Roofing system with a guarantee of 10-years. Contact us now and get free expert advice or arrange a free no-obligation quotation.